Bill Clinton and Hillary Rodham enjoy a break from volleyball in Fayetteville, Arkansas. 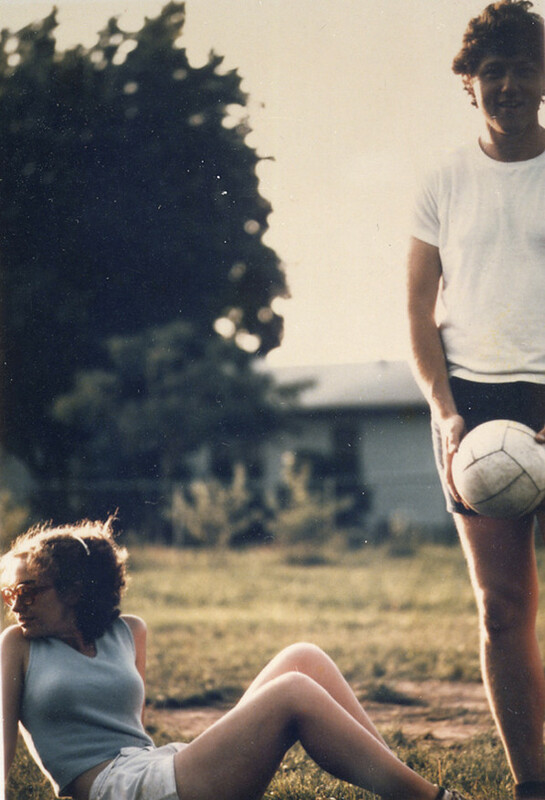 As the photograph dates from 1975, Bill would be around 29 and Hillary 28. They would be married this same year, and just three years later Bill would be elected Governor of Arkansas, becoming the youngest governor in the United States at the age of 32.